Louisiana Soccer Association is a proud partner of the Allstate Sugar Bowl. The Sugar Bowl's mission is to sponsor local, state, national and international amateur and collegiate sporting events in the State of Louisiana and they have been a long-time and invaluable partner to LSA. For more on Allstate Sugar Bowl and what their contributions have meant to thousands of young athletes, click the logo above. LSA attempts to develop partnerships that will offer tangible benefits to our entire membership and to secure corporate sponsors for our programs and events to ease the cost of participation. We are grateful to our partners and sponsors for their involvement in helping us bring the beautiful game to as many lives as possible. 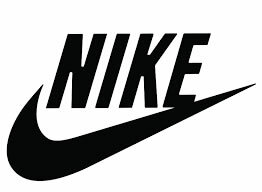 Nike is LSA's "Official Soccer Apparel and Equipment Partner". In addition to product support and discounts on Nike apparel and gear, our ODP players now wear the same brand worn by the National team players we ask them to emulate. Third Coast Soccer, LSA's "Official Soccer Retail Partner", has grown to one of the finest soccer retailers in the country. They carry all major brands of soccer apparel and equipment and offer nationally competitive pricing in both its 5 retail locations and in its on-line store. In addition to volume discounts to LSA and tremendous customer service, Third Coast Soccer provides our entire membership with 4 promotional weekends each year. Fine Designs has been named the "Official Event Merchandiser of LSA". They will be present at all Louisiana state tournaments to sell customized event t-shirts and other sports apparel. Fine Designs will establish an on-line LSA apparel store to handle pre-orders and even post tournament orders. They are also available to work at all Louisiana club tournaments around the year. .
Skillzys offers deep discounts to all of our affiliated clubs on tournament credentials, customized bag tags and a series of unique “Skill Tags” designed to help coaches and parents encourage player commitment and development. Anthony Travel has been named the "Official Travel Partner of LSA". Anthony Travel has been servicing sports teams since 1989 and is considered the industry leader in customer service. All LSA state tournaments are "stay to play" tournaments and Anthony Travel will work hard to leverage our bulk bookings into value and convenience for our soccer families. Sports Pins International (SPi) is LSA's "Official Awards Supplier". SPi is an industry leader in designing and producing top quality awards products and has become the proud awards partner of the MLS, US Youth Soccer, US Soccer, the NSCAA and more than a dozen state soccer associations. SPi provides all trophies and awards to LSA state-wide tournaments. They provide outstanding customer service, a wide variety of design options and discounts to all LSA affiliates. Bownet Sports is the "Official Portable Goal Provider of Louisiana Soccer". They manufacture the finest portable soccer goal on the market. In addition to providing LSA with deep discounts and product support, Bownet Sports will provide discounts to our member clubs and will run 2 promotional weekends each year with discounts for our entire membership.